Moving home is a stressful time in anyone’s lives, not to mention the expenses that it brings too. 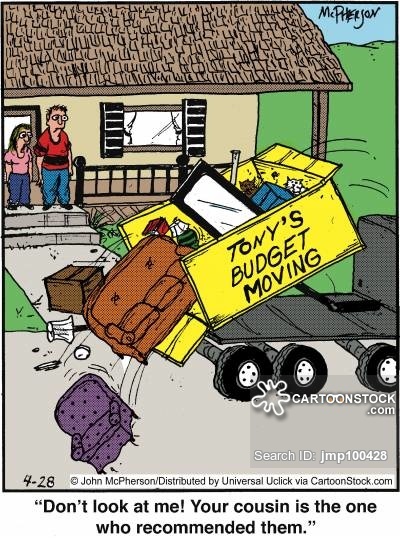 Luckily, there are steps that you can take to make moving home much easier, and without breaking the bank too. Packing your own belongings will save you a lot of money. Even if you’re busy with work, dedicating an hour when you get home will surprise you on how quickly you can pack everything. Get everyone involved that lives with you and make it a game on who can pack their things more quickly. One bonus of packing your own things is that you can be sure that none of your belongings have been mishandled by a packing company, and that they will arrive at your new home unscathed. Perfect for those special items that have a sentimental meaning to you. Your bank will thank you! Sometimes there are reasons for needing to move quickly away from your current home. This could be because your landlord has given you a written notice to vacate the property, or it may be because of unpleasant neighbours. Whatever your reason is, there is a fast way of getting the cash together to put a deposit down on a new home. Consider applying for a fast cash advance online, where you can either opt for a payday loan where you would pay the money back once you’ve been paid, or you could apply for a credit loan where the repayments are smaller and stretch over a longer period of time. Doing this will ensure that you can find yourself a new property quickly and without breaking the bank. Of course, if you’re smart enough to have savings, you could dip into those for the time being instead. When it comes to choosing the property you would like to live in, think about the overall effect that it will have on your bank. If it’s possible, go for a property that’s going to be cheaper in the long run to live in. Look at energy ratings, the price of the rent and deposit, and how far you will have to travel to work, it will make all of the difference! Instead of hiring professional movers to do all of the work for you, consider doing it yourself. See if a family member or a friend has a van or trailer that you could borrow for the day. You could also round up a group of people to help you move with the promise of a few drinks and food at the end of the day. Which is going to cost you more, the professionals or a crate of beer and a pizza? Again, another bonus of doing it yourself is that you will know where to put your furniture and how to handle certain belongings. Save the money and do it yourself! So there we have it, three simple ways of moving home without breaking the bank. Enjoy your new home!